Are you going to refresh your old dog equipment for a new one? 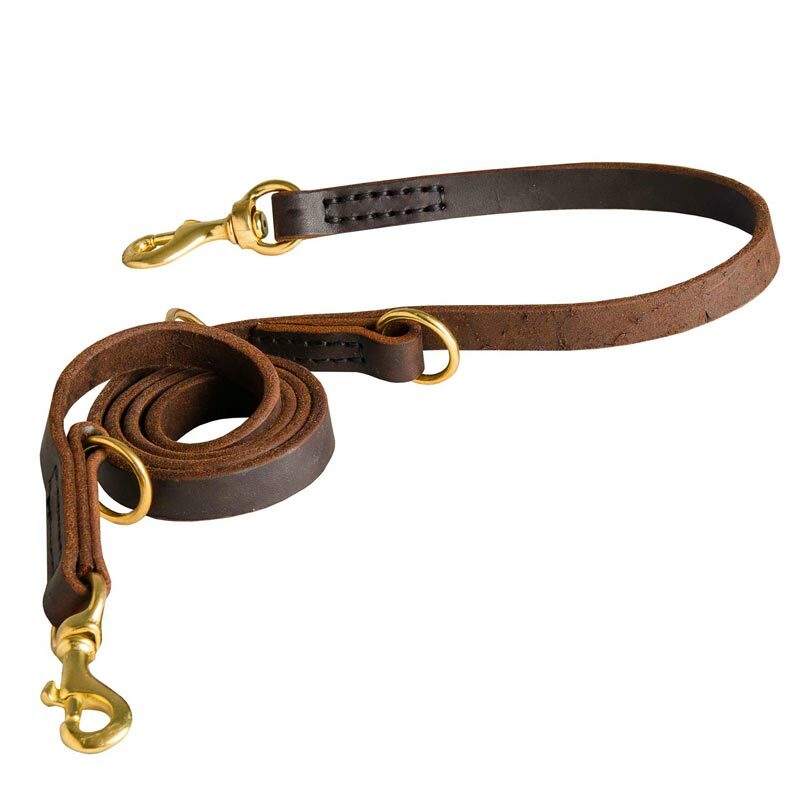 Try this Multipurpose Leather Dog Leash that can be used in 7 different modes. 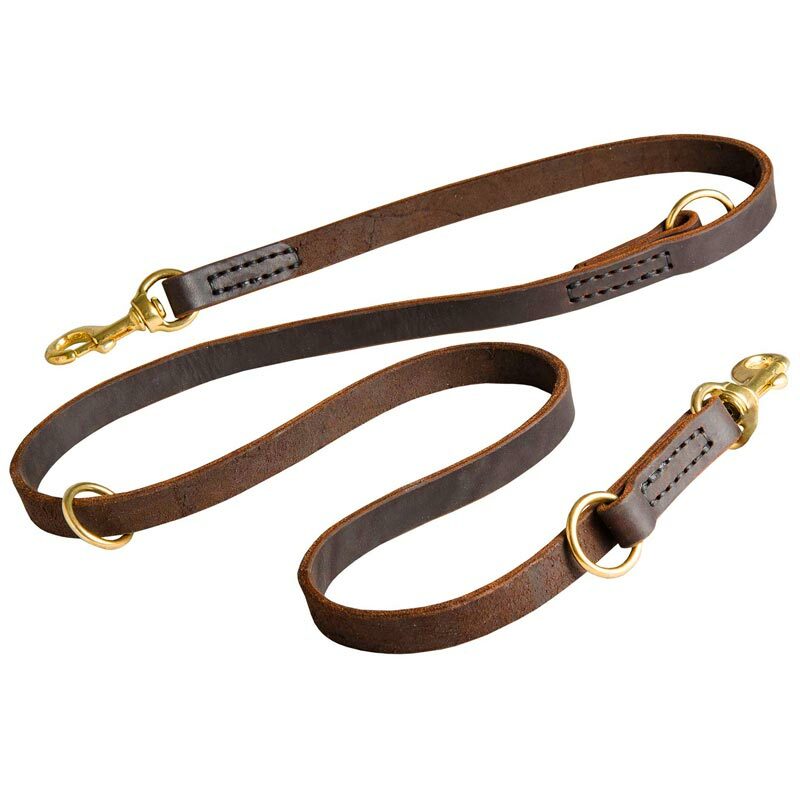 Thus, you can use it as ordinary leash, shorter leash, waist lead, coupler etc. The item is made of natural leather. 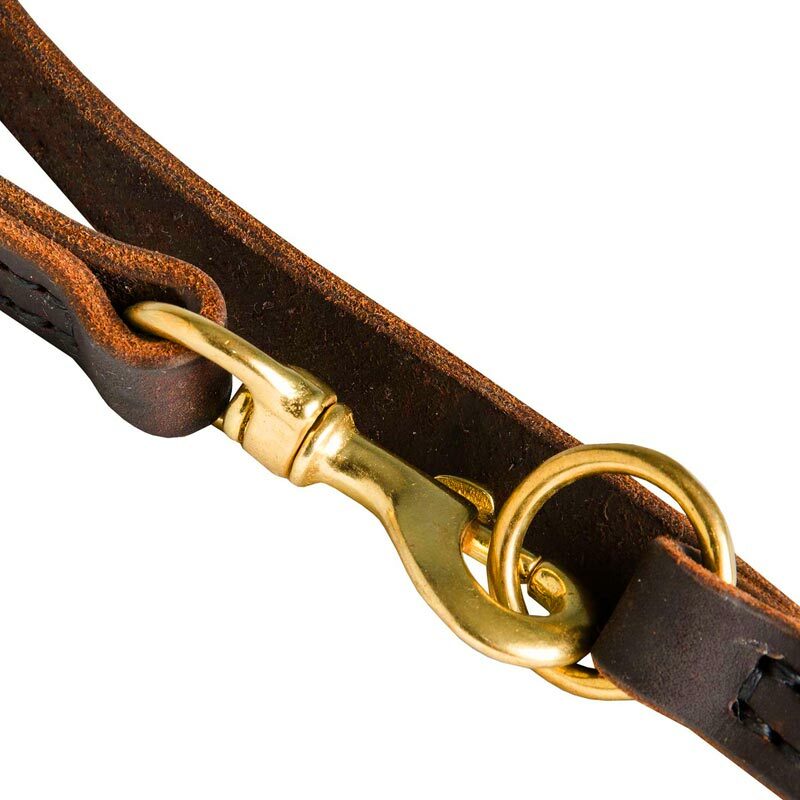 It is very soft, durable, reliable, long-servicing and comfortable for a handler. The palms of a handler are protected from rubbing and irritation due to the smooth and soft material. The hardware is made of rust and corrosion resistant brass. 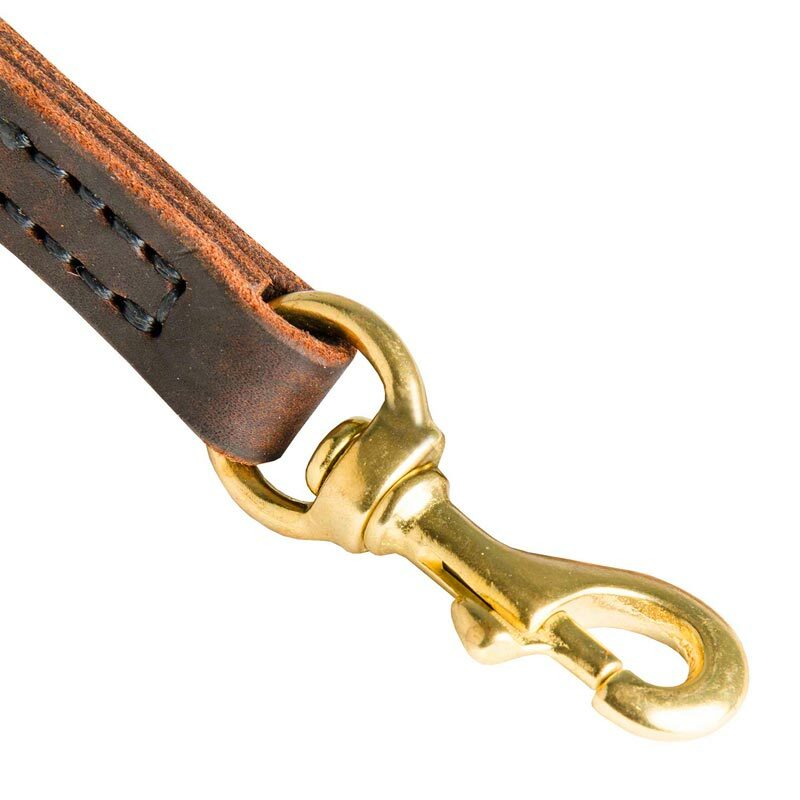 Order now this multimode leather leash for performing different activities with your Dog! Over the shoulder leash. Bring the end of the handle over your shoulder opposite to the side you wish to walk your Dog, across your back and up under your armpit. Add that leash clip to the floating O-ring to make a loop across your upper body. Attach your dog to other end and go! 3.5 foot (105 cm) leash. Connect the snap hook of the leash with the O-ring, that is sewed into the other end. Tether. Wrap the item around an object. Connect the snap hook with the floating O-ring. 20 inch traffic lead. Make a 3.25 inch leash and then grab the floating O-ring and slide it to the end of the leash opposite the clipped ends. Bring the O-ring back to the clipped end essentially folding the leash in half. Clip the floating O-ring using the same clip that is attached to the fixed O-ring. Waist leash. Wrap leash around your waist and clip the snap hook to the floating ring. Attach your Dog and go! Leash to walk two Dog dogs. Just attach dogs to both snap hook and hold the item in the middle. As it is. Attach one of the snap hooks to the nearest ring to create an ordinary handle.